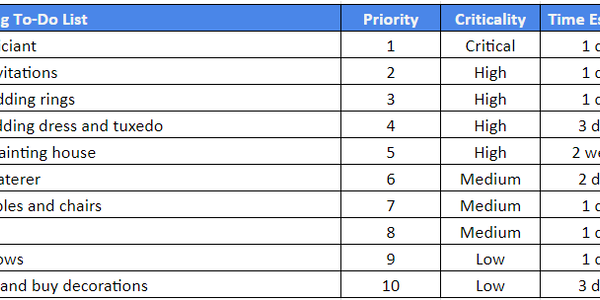 I worked as a product owner for two years before I finally realized the value of Agile prioritization—the process of ranking items in a to-do list from most to least important. Ironically, I wasn’t at work when the benefits became clear. It happened while planning my wedding. A staggering 92 percent of people don’t achieve their goals. The other 8 percent are ordinary people with an extraordinary amount of determination, who consistently commit to finish what they start. The people who finish what they start aren’t the smartest, brightest, or most talented. Most people can’t remember the last time they entered a flow state. According to Mihaly Csikszentmihalyi in his book Flow, flow is “the optimal state of consciousness where we feel our best and perform our best.” Most people sleepwalk through life without ever feeling so intensely focused..
Bridgewater Associates is the world’s largest hedge fund. They manage over $150 billion. In the past decade, a lot has been written about them. They have a very unorthodox method of operation. Almost to the point where many outsiders claim that they function like a cult. The holiday season is now in full swing. People will be decking the halls, throwing parties, offering tidings of good cheer, and engaging with all things festive. Though this time of year is supposed to be merry and bright, however, it can also sometimes feel rather melancholy. We’re all beset with difficulties, obstacles, pain, tiredness, and a thousand other setbacks, small and large. What determines whether we take these setbacks in stride, or let them bring us down, is something that psychologists call “resilience.” It’s an ability to come back..
To talk about intelligence and its possible self-improving properties, we should first introduce necessary background and context. What are we talking about when we talk about intelligence? Precisely defining intelligence is in itself a challenge. Feeling a little groggy? Hitting the coffee first thing in the morning to jolt yourself into alertness? Maybe you aren’t getting enough sleep. When we don’t get enough shut-eye, we have trouble concentrating, working, making decisions, remembering things, and being our best selves. A book I’m reading: The Upside of Irrationality: The Unexpected Benefits of Defying Logic. Drawing on the same experimental methods that made Predictably Irrational a bestseller, Dan Ariely uses data from his own original and entertaining experiments to draw arresting conclusions about how and why we behave the way we do.